Taiko drums have existed and being used in Japan over 2000 years ago. 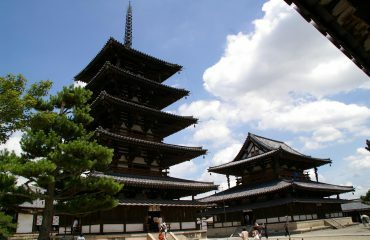 It may have come to Japan around the 5th or 6th century with the influences based on Buddhism brought from China. 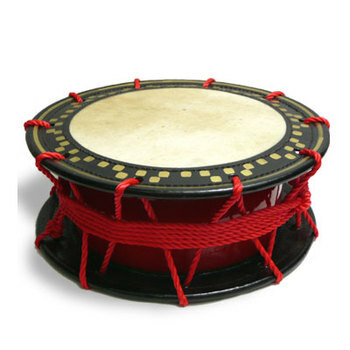 As a percussion, is the most primitive instrument and it may have been used for communication or religiuos rituals. In feudal Japan, was often used to motivate troops, to call out orders or announcements or to set a marching pace. 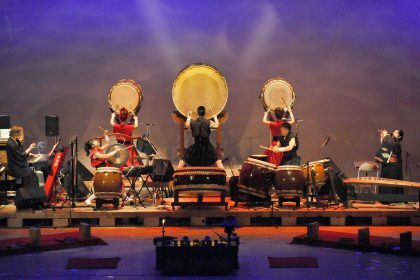 Taiko drums were also used in the court style music called Gagaku which was performed in the castles and shrines across ancient Japan, at the classical Noh theatre, and the very well known Kabuki theatre. 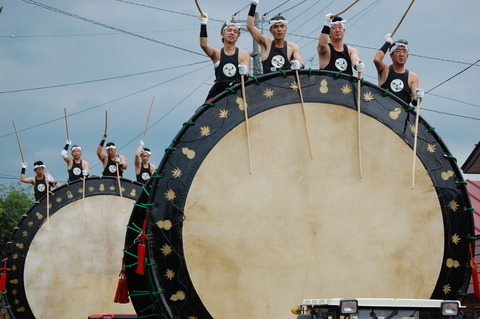 Nowadays, Taiko drums are also used at festivals. Byō-uchi-daiko (鋲撃ち太鼓) with the head nailed to the body, hollowed out of a single piece of wood, keyaki is prefered for its density. These type of drums can’t tuned and their size is limited by the size of the tree. 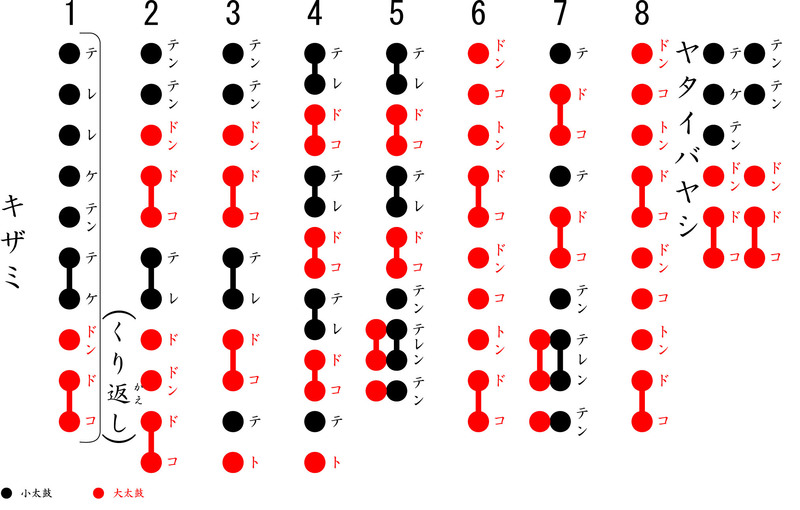 Shime-daiko (締め太鼓) with sewn iron rings onto them, and then laced to each other around the drum body. These drums come in a wide variety of styles and are tunable. 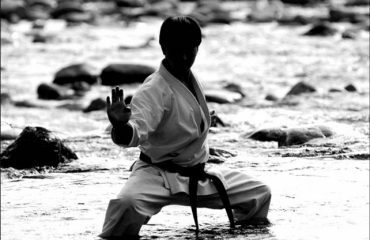 The most commonly used are the Chudaiko or Nagadodaiko (長胴太鼓). 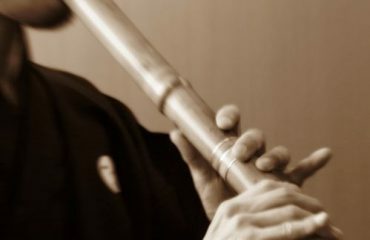 They are versatile, and can be played standing or put horizontally to be played by two at the same time or even mount them on stands to play at different heights. 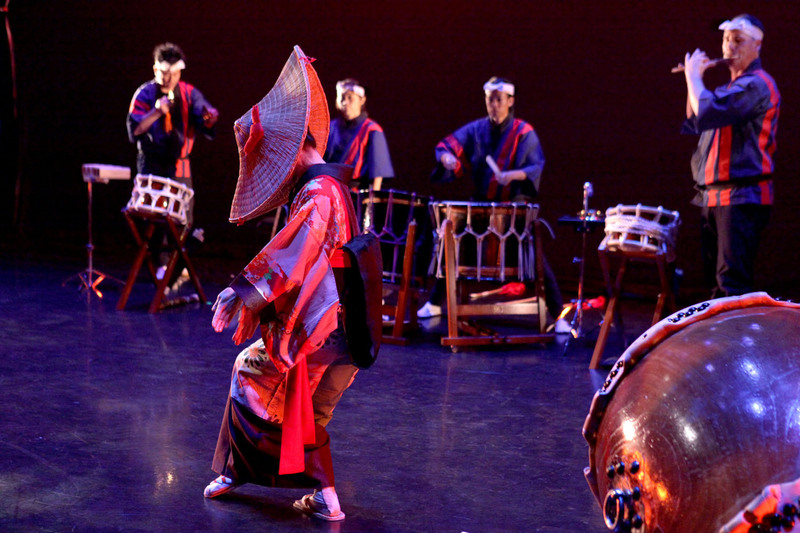 Okedodaiko is not made from a single piece of wood. 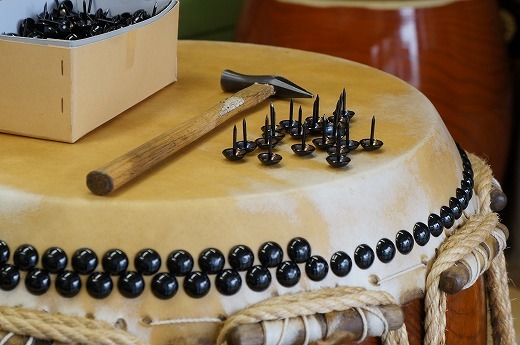 It is made by connecting a many staves and skins are also added with rope to allow the drum be tuned in any desire pitches. 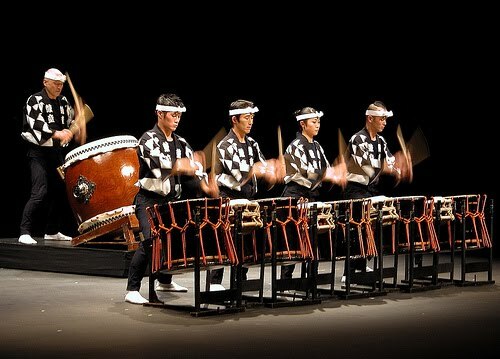 And the smallest of the taiko drums are the Shimedaiko, but is somewhat essential for time-keeping. 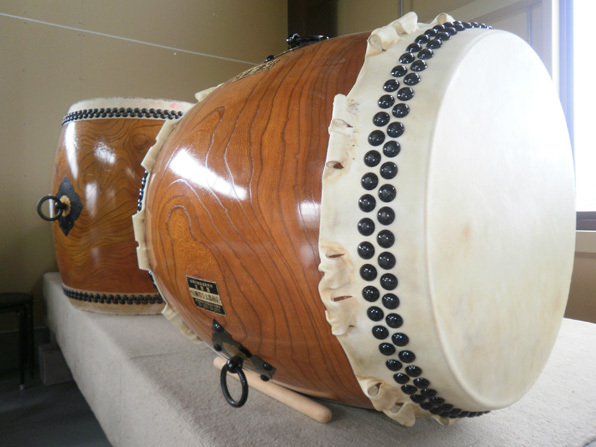 This drum, with its high speed playing and high pitch, can create good balance with the slow and low pitch odaiko and chudaiko. 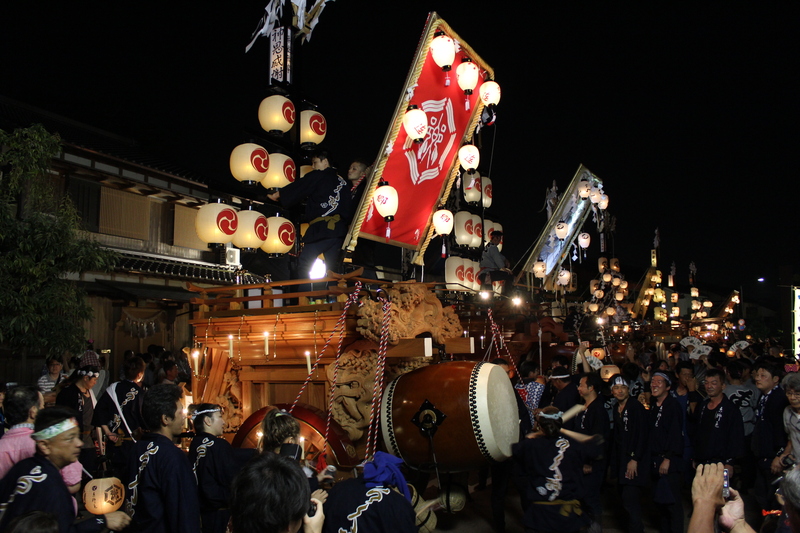 We can also find taiko drums being performed with other instruments such as the shamisen, the biwa and the shakuhachi to name some.